Do you often try to multitask? For most people, the answer will be yes, with many believing that they are actually quite good at performing more than one task simultaneously. However, did you know that multitasking is something that the brain can’t physically do? While you may think that you are being more productive, there is plenty of research out there that proves otherwise, while also pointing to the fact that multitasking can be harmful to a person’s health. Here are just a few of the reasons as to why you should kick the multitasking habit. The human brain only has a finite amount of attention to give at any one time, and was actually designed to focus on just one task at a time. Think that your brain is different, because multitasking is something that you do all the time? When you think you are multitasking, your brain is actually rapidly switching from one task to another. It takes just a fraction of a second for your brain to carry out these processes, which is why you don’t really realize that they are going on. This doesn’t seem like much time, but, when your brain is constantly having to switch back and forth between tasks, all of those extra seconds begin to add up. Well, each time you completely one of the tasks that you are doing, even if this is something as simple as replying to an email or posting on social media, a small amount of dopamine is released in the body. This is a chemical that makes you feel good and accomplished. The brain loves dopamine, and the fact that these small amounts keep being released encourage the brain to continue switching from task to task, even when you don’t want it to. It also makes you think that you are accomplishing a lot, when really there isn’t much being actually done. Most people multitask because they want to be more productive, not realizing that the opposite of this is more likely to happen. While you may think that you are getting more done in your time, research shows that it actually takes longer to complete tasks when multitasking, especially when compared to carrying out each task on its own. In fact, many experts believe that multitasking leads to a 40% drop in productivity, along with a higher chance of you making more mistakes. All of that switching back and forth between various tasks results in cortisol, also known as the stress hormone, being released into your body. Well, when it happens in small amounts, there is absolutely nothing wrong with this. In fact, it is this hormone that gave humans the fight or flight instinct, and enabled our species to evolve in the way that it has. 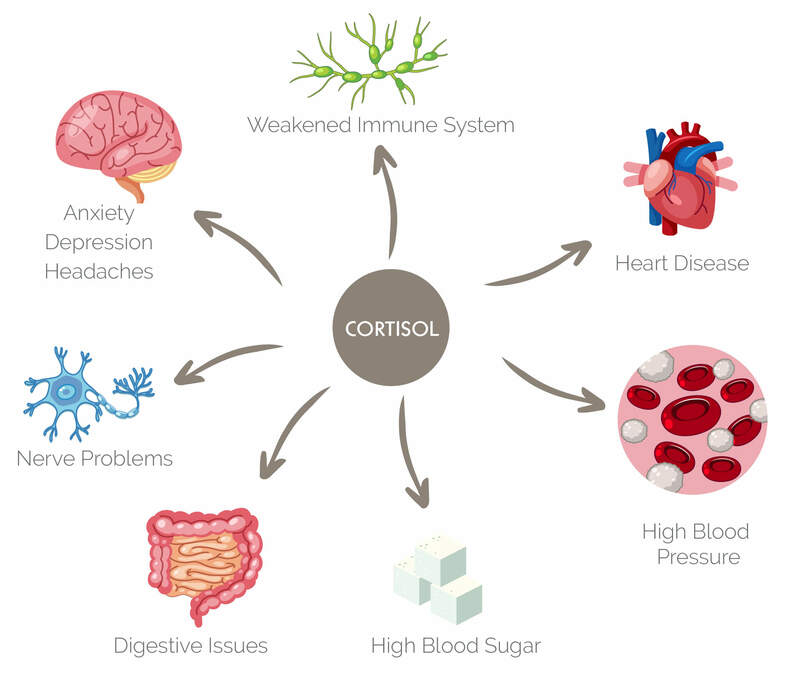 Cortisol is also important for several other functions in the human body, from bone growth to your sleep cycle. As you can see, cortisol, along with stress, is something that you want to keep to a minimum. There are likely already plenty of other stressors in your life, so don’t add to this by multitasking. Your IQ refers to your ability to think, reason and carry out cognitive tasks. No matter how high your IQ may be, multitasking is something that will lower this back down. In fact, multitasking lowers your IQ to the same level it would have been if you had stayed up all night. Studies carried out on this subject have witnessed such significant IQ drops in men that it brings their IQ level down to that of an eight year old child. Even just the thought of multitasking, such as knowing that you have an unread email in your inbox, can lower your IQ by 10 points. Research on this topic is still relatively new, but, so far, it shows that multitasking can actually lead to brain damage, with this damage being permanent in many cases. How does multitasking result in brain damage? Well, there have been MRI brain scans carried out on two groups of people – one group of frequent multitaskers and one group of people who don’t multitask much. 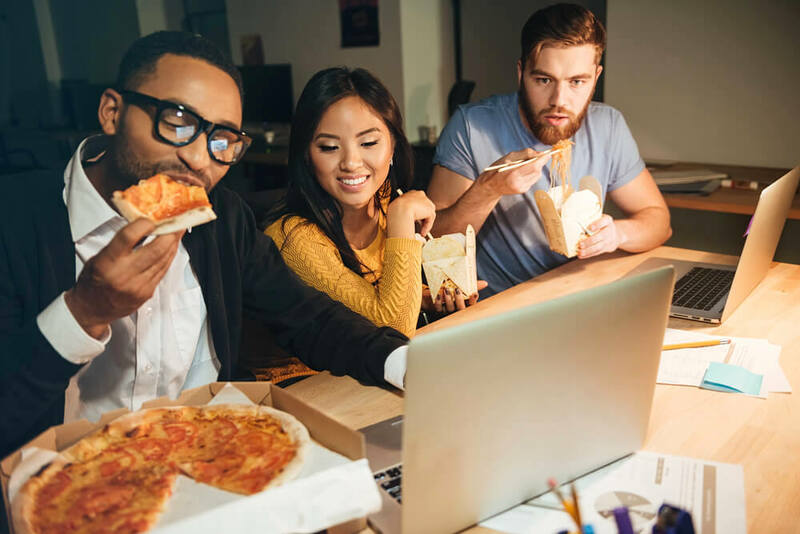 The scans showed that the group of people who multitasked more frequently actually had less brain density in the anterior cingulate cortex, which is the part of the brain responsible for controlling your emotions. A person’s memory can also be permanently affected by multitasking. 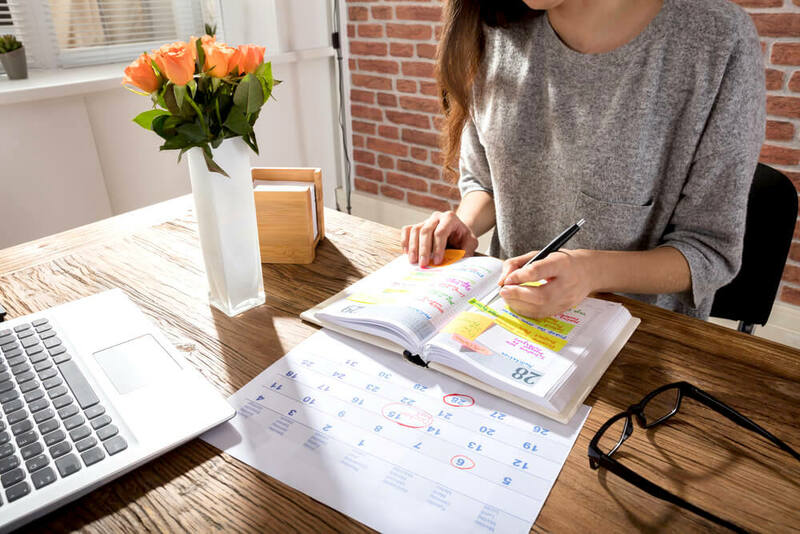 Since the brain isn’t properly paying attention to a task, it will be much harder for your brain to then recollect information relating to the task in the future, not only damaging your short term memory, but also your long term. In order for your brain to properly learn, it needs to have enough attention to give to the topic. By multitasking, you are reducing the amount of attention your brain gives to each task, which will then prevent you from learning along the way. This is especially the case for younger minds, with research suggesting that multitasking can have a seriously detrimental effect on learning and grades while at school. It can also cause issues during mealtimes too. So many people end up watching TV, going online or checking their phones while eating a meal. However, this lack of concentration on the food that you are consuming prevents your brain from properly processing all that you have eaten. This then means that it doesn’t send a signal to your body to tell it to stop eating because it is full. This results in you not feeling as full as you otherwise would have after a meal, either leading you to eat more, or to eat again after a short period of time. If you are working on a project that requires you to be creative, then multitasking is something that you should definitely avoid. Because creativity requires so much focus and concentration from the brain, especially if you are trying to use creativity to solve a problem. If you want nurture your creativity, then you will need to bring all of your attention to the creative task at hand, rather than letting your brain wander off onto other tasks. Many would say that mindfulness is the most advanced form of attentiveness. It refers to being completely present in the moment, with many considering it to be a form of meditation. As you can see, mindfulness brings nothing but positives, and is something that could benefit just about everyone. Unfortunately, multitasking is something that really detracts from this, preventing a person from experiencing mindfulness. Hopefully, by now, you will be in full agreement that multitasking is a habit you need to beat. But how exactly do you go about doing this? Well, although research shows that the brain can just about handle two tasks, but no more, at once, your best bet in kicking the multitasking habit would be to give single-tasking a try. Never heard of that phrase before? It is exactly what it sounds like – concentrating on a single task, rather than multiple tasks. The key here is to force yourself to focus on the most important task at hand, giving yourself the time you need to complete this. Keep all other distractions well away, so that your brain is less tempted to switch over to another task. If you are at work, a clean and clear desk can really help with this, as simply glancing over at something else you need to do can limit how your brain functions. Is your schedule too full to focus on just one task at a time? If so, this doesn’t mean that you should multitask. Instead, it means that you need to cut back on some of the commitments you have made in your schedule. Try to prioritize everything that you need to do, dropping any tasks that are not actually important. For those with a packed schedule, you likely also need to learn how to say no to other people, as well as other tasks. Taking on more than you and your brain can actually handle will only be detrimental in the long run, so make sure that you don’t say yes to extra projects that you don’t actually have time for. Another technique that can help is to perform tasks in batches, which is also known as chunking. This basically means that you set aside chunks of time each day to perform certain tasks. For example, check your emails and messages all at once, once a day, rather than doing this constantly throughout the day. This enables your brain to fully focus on what you are doing, rather than having to switch back and forth. Not got enough self control to resist checking your phone and messages throughout the day? These enable you to set a length of time during which the app will block you from checking your email, social media, or any other websites that tend to distract you. Still finding it difficult to kick the multitasking habit? Keeping a journal can really help. Because this will enable you to track how you work, along with how much you get done, while also keeping a record of any distractions you have faced. Being able to see all of this right in front of you can then help you to plan how to overcome your multitasking habit. Could Multi-Tasking Ever Be Beneficial? 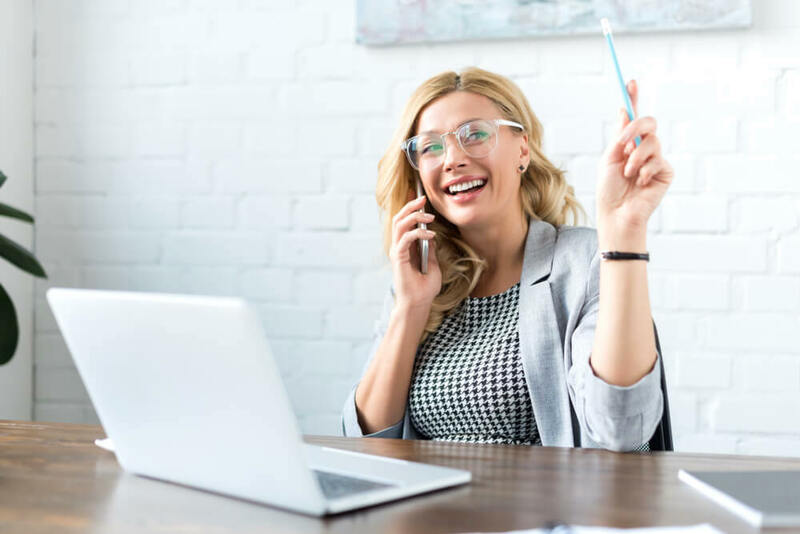 Although multitasking is never really beneficial, there are certain tasks that aren’t negatively impacted if you choose to do something else at the same time. The perfect example of this would be listening to music, or to an audiobook, while you are working out. Since the main task you are focussing on is physical, your body is able to do this on auto-pilot, as the task doesn’t require much brain attention. This then enables your brain to focus more on the second task that you are doing. Watching television while folding laundry is another example, as the folding is something that does not require much brain power. Multitasking is something that just about everyone does, although the majority of these people do not realize just how detrimental it can be. From reducing productivity to increasing stress, multitasking is a habit that you should try to tackle as soon as possible. Trust us, it won’t be long before you see all of the benefits that single-tasking can bring to your life! No matter where you may be heading to over the weekend, you need to ensure that you do not neglect your skin. From on-the-go hydration to the secret behind fresh, de-puffed eyes, here are some skin care tips to keep in mind whenever you are spending the weekend away. While you may already have plenty of last-minute tasks to do the night before you travel, you need to make your skin a priority at this time. Giving it some extra care and nourishment before you set off will help you to maintain a healthy complexion while you are away. Wondering what you need to do? Begin by exfoliating, following this up with a nourishing face mask. You should also pay attention to the food that you eat before travelling. Snacking on junk food right up until you leave the house will only mean that your skin will suffer on your journey. Instead, make sure that your pre-travel meals contain plenty of fresh fruits and vegetables, as well as some nuts, seeds or oily fish so that you are consuming enough essential fatty acids, as these are key when it comes to skin health. If possible, try to drink as much extra water as you can the day before, especially if you know that you will likely forget to continuously hydrate while you are away. The stress of travelling can often take its toll on your skin, leaving it looking and feeling dull and flat. The first type is usually made from mineral water, and while the simplicity of these is great, you do need to always follow this up with a layer of moisturizer. Because if you don’t, the dry air around you will only end up sucking all of that extra moisture away from your skin, leaving it even drier than it was to begin with. Alternatively, you could opt for one of the more advanced facial mist formulas. The difference here is that they contain additional hydrating ingredients, such as glycerin and botanicals. Everybody wants bright, vibrant eyes when they are heading away for a weekend, but, whether due to the stress of planning or the chaos of travel, the eyes can often end up looking tired and puffy. A Cold Metal Spoon – place a spoon in the fridge for a 15 minutes before holding the rounded end against your eyes. The cold temperature will help to constrict your blood vessels and minimize any puffiness. Ice Cubes Wrapped in Cloth – when travelling, ice cubes are usually easier to find than a cold metal spoon, so this is another great alternative. Make sure that you wrap the cubes in cloth before holding them against your eyes, otherwise they will be too harsh against your bare skin. Refrigerated Eye Cream – if you have access to a fridge, then, in addition to placing a spoon in there, you should also use it to store your eye cream. The colder temperature of the cream when applied around your eyes will do wonders for any puffiness. You will have enough on your mind when travelling that you really do not want to have to worry about your lips too. These formulas tend to be quite drying on the lips, and will only leave them parched and chapped by the time you reach your destination. Instead, opt for a couple of layers of a lip stain, topping this off with some medicated lip balm, as this will not disrupt your lipstick. If you have quite a long journey, a lip treatment may be a good idea, especially if you are already planning on using a face mask while you travel. If you have oily skin, then this is something that you will want to keep under control during your weekend away. Oil blotting sheets are great for this, as these sheets can be dabbed against the skin for a few seconds, during which they will soak up any excess oil. Of course, for skin that is extremely oily, you may end up going through quite a few oil blotting sheets, so it is always worth having an extra weapon in your arsenal, such as an oil-absorbing primer. You can also use oil blotting sheets to help set your makeup, as these will absorb any excess oil from the products that you have used, helping them to last for longer. Trying to pack as lightly as possible for your weekend away? Then you will probably not want to bring all of your regular-sized skin care products. To get around this, many people end up stocking up on sample-sized products, and using these while travelling instead. While there is no denying that this can be extremely convenient, you will need to ensure that you are not using any new products while you are away. Instead, try to find sample-sized products of the items that you already use, as this will prevent your skin from reacting to anything new while you are travelling. Another option is to purchase empty travel-sized containers, and then fill these with your creams and other skin care products. If you are someone that always seems to be touching their face without realizing it, then you need to make sure that your hands are always as clean as possible. For those of you who have access to a sink, wash your hands as much as you can while you are away. Alternatively, an antibacterial hand gel can be carried with you everywhere you go, and applied frequently throughout the day. Whether you wash your hands or use a hand gel, it is important to follow this up with a layer of hand cream, as this will prevent your skin from drying out. Don’t want to bring your hand cream with you? There is nothing wrong with using your standard face moisturizer for this, especially if it is only going to be for a couple of days. You may want to keep your legs soft and smooth throughout the weekend, but shaving cream can be quite a bulky item to include in your luggage, especially since you will only be using it once or twice. Although it is best to avoid lipstick while you are actually on the move, once you reach your weekend destination, a swipe of red across the lips is one of the best ways to brighten up your look. This will instantly make your complexion appear more revitalized, while your teeth will look whiter and your smile will look bigger. Don’t like lips that are too red during the day? 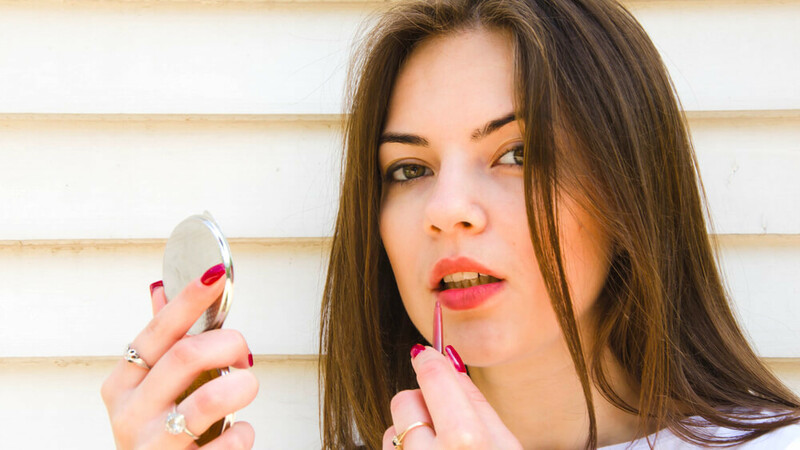 Simply swipe on a single coat and then blot this down with some tissue, as this will turn your bolder lipstick shade into a subtler lip stain. Even though you may only be going away for a couple of days, you do need to think about how your destination is going to affect your skin. For example, heading to somewhere hot and sunny means that you will need to pack hydrating, and sun protecting, products, whereas somewhere cold and windy would require an extra rich moisturizer to protect your skin from the environment. Trying to decide in advance which makeup looks you want to go for over the weekend can be difficult, and you may end up packing a huge back full of cosmetics. Instead of doing this, try to make use of multi-functional products, such as a bronzer. This one item is all you need to create a flawless evening look. To begin with, use a large brush to dust the bronzer along your nose, jawline, cheekbones and temple, giving your complexion a gorgeous glow. Then, sweep some of this along your eyelids, to act as an eyeshadow, before using your finger to dab some along your lower lash line. Finish the look with a brown eyeliner, as this will beautifully complement the shades of bronze around your face. 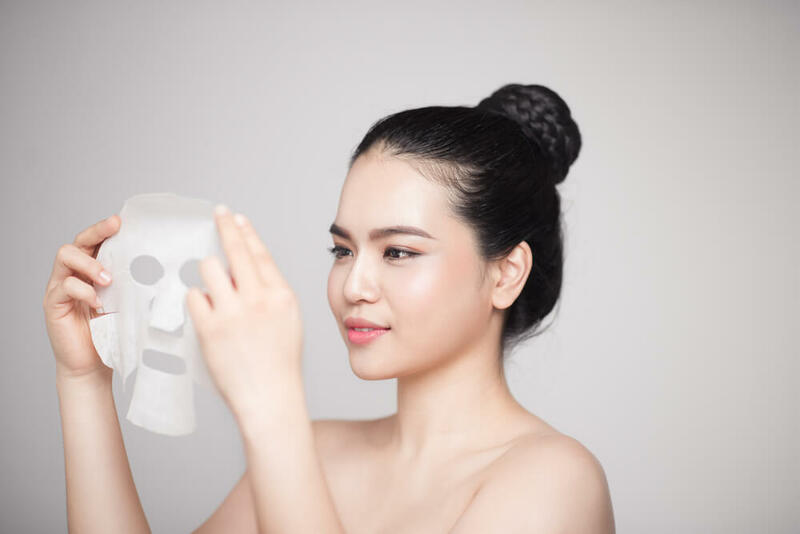 Applying a face mask while travelling on a plane, train, or even a car, has become all the rage recently, with many celebrities pushing this trend forward. Face masks are a great way to nourish your skin on a deeper level, and by using one while you are travelling, you will be able to ensure that your complexion is radiant and glowing upon arrival. Can’t decide which type of mask to go for? Sheet Masks – Just about every brand has their own sheet mask now, because these masks deliver intense doses of active ingredients, while the actual sheet helps to ensure that they go nowhere else but into your skin. The downside to sheet masks is that they are quite noticeable, especially if you are in public. Cream Masks – These are incredibly nourishing, making them great for travelling. They come in a cream-like formula, and can be applied in a similar way to moisturizer, with the only difference being that they are left on for around 30 minutes. Hydrogel Masks – These are relatively new masks that are extremely popular in Korea. They are similar to sheet masks except that they are made from a thin gel, which gives them a greater ability to lock in moisture. If you have extremely problematic skin, you may end up stressing quite a bit about how it is going to react to your weekend away. This is something that you should really try to prevent, as the extra stress will not do your skin any good. Instead, the cortisol that will be running through your body will lead to blemishes, breakouts and more, which is not something that you want to deal with while travelling. Have a few stress-management tools on hand, such as a journal, some relaxing music, and maybe a game to take your mind off things. If you do end up forgetting something important, chances are that you will be able to pick it up from a drug store at your destination. Even if you are heading to somewhere more remote, don’t forget that it is only going to be for a weekend, and you can always give your skin a bit of extra TLC once you return. Unlike many other workout types, bodyweight exercises do not actually require any special equipment, and can easily be carried out at home. By using nothing else but the weight of your body and the power of gravity, these 20 bodyweight exercises will help you to build muscle and burn fat, while giving yourself such a satisfying workout. Squats are not only one of the most effective of bodyweight exercises, but are also the most natural, as this is the same way in which a baby would sit down. While this may seem like a simple exercise, a squat works out all of the muscles in the lower body, and gives your core a boost as well, since you will be using your abdominal muscles to keep yourself upright. Stand with your feet shoulder-width apart and then bend your knees until your thighs are parallel to the ground. Use your heels to help you to stand back up straight again, squeezing your buttocks in and keeping your core tight while you do so. While burpees are quite intense, many would argue that this is the single most effective exercise in the world, as it works out almost every muscle group, combining cardio and strength into one exercise. If you want to make this exercise a little easier to begin with, take out the last jump, and simply stand up at the end instead. Or, if you want to make this exercise a little harder, add in a tuck jump just before the squat. Push-ups are great as they work out just about every muscle group in the upper body, from your back to your arms to your abs. Your shoulders should be lined up with your wrists, while your elbows should be tucked in towards your side. You should also be trying to get your hips and chest as close to the floor as possible while doing this exercise, without actually touching the floor. The calf-raise is an extremely simple exercise, but can be adapted to suit your needs. Wondering how to make this exercise a bit more challenging? Try standing on a step while doing it, or bounce up and down quickly so that you get more reps in. This is an exercise that requires a raised surface, such as a step, low chair or bench. All you need to do is place one foot onto this surface and then step up on it, until your front leg is straight. Hold this briefly before returning to your starting position, making sure that you step down rather than jump down. When it comes to defining the core, the plank has become one of the most popular exercises. Once you have mastered the standard plank, you can then move on to trying some of the many plank variations that are out there. The feet-elevated plank is one of these, and is basically the same as a standard plank, but is carried out on a raised surface to make it more challenging. Try it on something like a chair or low table first, as you do not want the surface to be too high. Another plank variation, the side plank requires you to lie on your side, with just one foot, and one forearm, touching the floor. Once you have done this, raise your body up slowly, making sure to keep it in a straight line. Hold this for as long as you can before gently lowering yourself back down. Make sure that you do this exercise using both sides of your body. Handstand push-ups will give your body a great workout, and are especially effective at building up the shoulders. Haven’t yet mastered the handstand? Use a wall to help you, placing your feet against this. Once you can do this for 60 seconds, you can then begin incorporating push-ups into this. The crab walk targets your triceps, glutes and your core, while also improving your coordination. While it may take a few days to master this move, it will not be long before you are speeding across the floor…crab-style, of course! All you need to do is sit on the ground in a comfortable position, with your palms behind your hips. Then, pull your body up off the ground, so that your weight is resting on your hands and feet. Use your left foot, and your right hand, to move yourself one step forward or backward, before repeating with the other hand and foot. TOP TIP: Make sure that you keep your abdominal muscles engaged, and your hips lifted off the floor for the entire duration of the exercise. Unlike regular crunches, bicycle crunches require deeper abdominal rotation and stabilization, which gives your core an intense workout. Looking for a serious challenge? Then the dragon flag is the exercise for you. When it comes to the majority of bodyweight exercises out there, these tend to move your body in one of two ways; up and down, or forward and back. This is exactly why the side lunge is such a good exercise to incorporate into your workout, as it gets your body moving in a different way. This means that it will challenge your muscle fibers, ligaments, and tendons in a way that the rest of your workout does not. To do this exercise, begin by standing with your feet apart, and then take a large step out towards your right. Bend your knee and push your buttocks back, while keeping your core tight and your chest lifted. Return back to your starting position and then repeat on the other side. Want to give your core even more of a challenge? Try adding in a side leg lift with each lunge. Sit-ups are quite a popular exercise, and this is because they are also one of the most challenging of bodyweight exercises. Since you are not able to use your arms or legs to help you to sit up, you end up using a far greater amount of abdominal strength. Simply lie on the ground with your knees bent, and then contract your abs to lift your body up off the ground. Make sure that you limit the amount of movement that your lower back does. Finding standard sit-ups too challenging? Try doing a crunch variation instead, until you build up some abdominal strength. If you are bored of regular sit-ups, try giving the twisting sit-up a try instead, which is an advanced form of the standard version. For those of you who are already familiar with sit-ups, this exercise will be easy to do. The only difference with this one is that at the top of each movement, you need to bring the opposite elbow towards your knee. Make sure that you do not over-rotate your body, as this can cause quite a bit of damage over time. When it comes to the different types of exercise out there, jumping often gets a bad reputation. However, there is nothing quite like it when it comes to increasing bone density, so, if this is one of your aims, you may want to give this exercise a try. Simply jump up, spreading your legs to the side while lifting your arms at the same time. Once you land, jump back up and do it again. Jumping jacks are also a great one to warm up with, so consider adding this to the start of your workout. Squat jacks take jumping jacks to the next level, by throwing a squat in there too. Everyone has their own individual goals when it comes to working out, and if yours include improving your agility and power, while working on jumping higher, then tuck jumps are the way to go. This is a powerful, yet fun, exercise that has been proven to strengthen just about every single part of the body, and is especially beneficial when it comes to heart health. Stand up straight with your knees slightly bent, and then jump as high as possible. While you are in the air, bring your knees in towards your chest, while extending the arms straight out, almost as though you are tucking your knees in. Bend your knees slightly as you land, and then repeat the exercise. The wall sit works out a number of different muscle groups, including your hamstrings, glutes, quadriceps, and your core. Keep your back straight, and hold this position for 60 seconds, before returning to standing position. Try to repeat this five times, although you may need to build up to this gradually. If you want to give yourself an extra challenge, try adding in some bicep curls while you are “sitting”. When it comes to working out, it is important to make sure that you do not push yourself too hard to begin with, as this may only end up deterring you. Instead, set yourself some realistic goals, and take the steps necessary to ensure that you stick to them. For years now, there has been so much debate on whether or not coffee is actually good for us. If you are someone that drinks coffee each and every day, here are some of the health benefits that you will likely experience, as well as a few dangers that you need to watch out for. Coffee is the most widely consumed beverage in the world, with 83% of the population of the United States being avid coffee drinkers. Consisting of a powerful collection of biologically active compounds, many people associate only caffeine with coffee, but this drink actually contains so much more than that, and is packed with thousands of complex substances. Let’s look at the benefits and harms of drinking your daily espresso. Coffee has been proven to be able to increase energy and boost physical performance, making this a great beverage to sip on before a workout. Drinking just one cup of coffee, around an hour before you intend to work out, can improve your performance by up to 12%. Well, coffee increases the adrenaline in your blood, which is the hormone that your body produces to help it to deal with physical exertion. An increase in adrenaline levels then increases your energy, as well as the amount of exercise you are able to do. While you should not depend solely on coffee if you are trying to lose weight, this beverage can definitely help you on your weight loss quest. Coffee is packed with potassium and magnesium, both of which help the body to use insulin and regulate blood sugar levels. 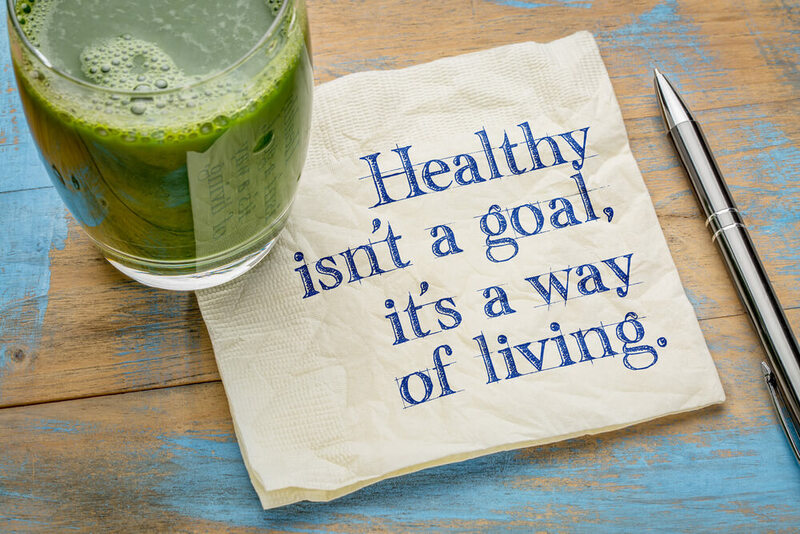 By keeping your blood sugar levels steady, you will not experience as many cravings for unhealthy foods and snacks, making it much easier for you to stick to a healthy diet. 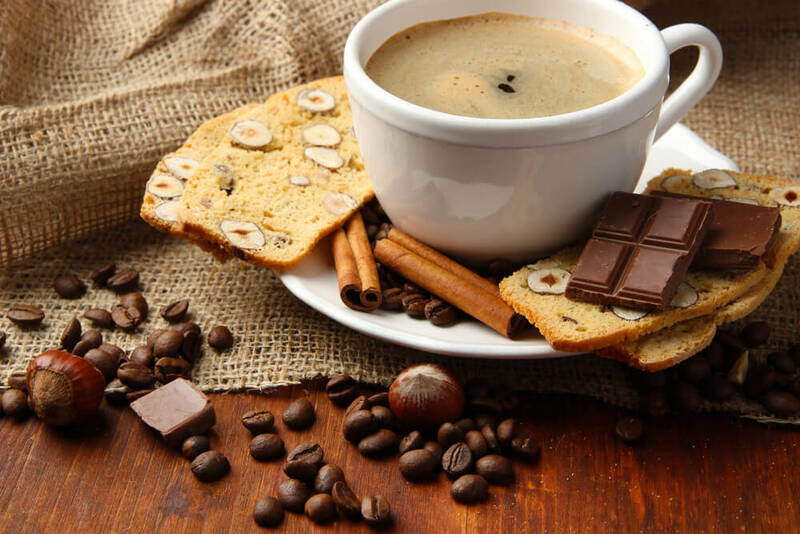 Although coffee can help you lose weight, you need to ensure that you are not filling your coffee with calorie-laden creams and sugars, as this will only counter the weight loss benefits that coffee can have. Coffee is the biggest source of antioxidants in the Western diet, and outranks both fruits and vegetables combined. So, why exactly are antioxidants so important? 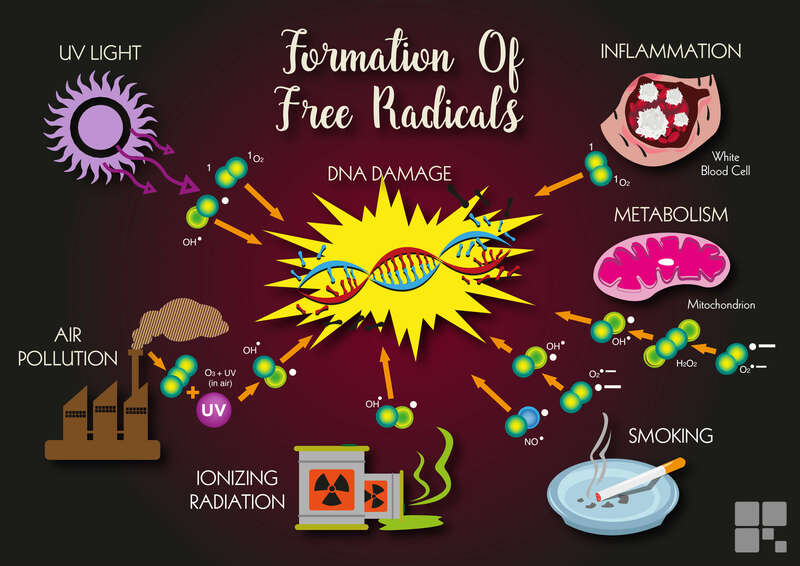 Well, the body is constantly being attacked by free radicals, and these cause so much damage to your cells, affecting them as deeply as DNA level. Antioxidants are able to neutralize these free radicals, keeping your body healthier, as well as more youthful, for longer. The way in which you prepare your coffee will have a significant impact on its antioxidant content. For example, roasted coffee has many more antioxidants than non-roasted coffee, so always opt for coffee that is as high quality as possible. Affecting over 300 million people, type 2 diabetes is one of the most common diseases out there, and refers to blood sugar levels being elevated due to a resistance to insulin. By drinking coffee on a daily basis, you will be able to reduce your risk of developing diabetes by an impressive 23-67%. As the body ages, neurodegenerative diseases become so much more common. These are brain diseases that occur due to the death of neurons in the brain. These diseases are always progressive, meaning that neurons will continue to die and the disease will only worsen over time. 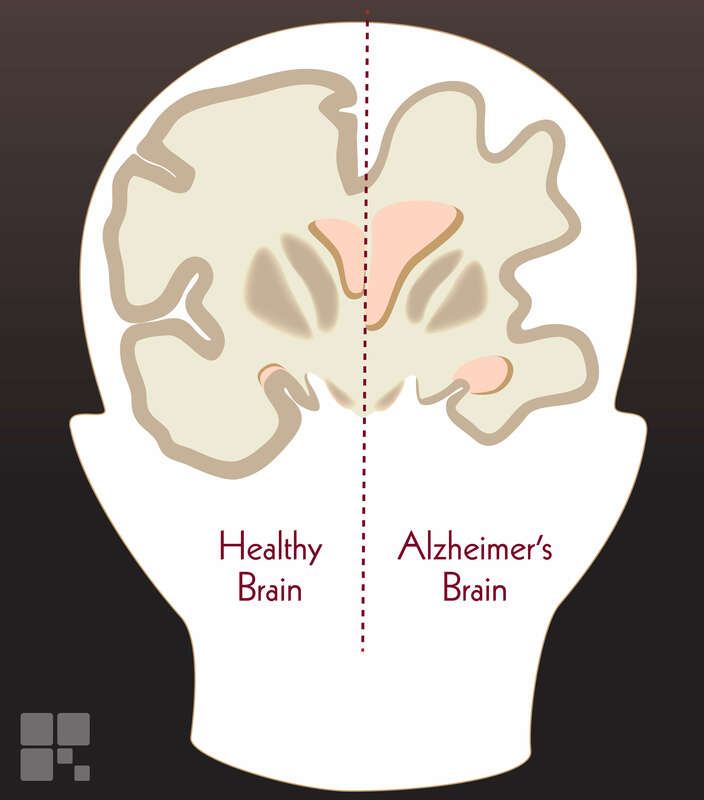 The two most common neurodegenerative diseases out there are Alzheimer’s, which is also the leading cause of dementia, and Parkinson’s. By protecting the neurons in your brain, coffee will also reduce your risk of developing dementia as you get older. The caffeine that coffee contains is a known stimulant, and, each time you drink a cup of coffee, the caffeine blocks the function of one of your brain hormones, known as adenosine. Wondering what this actually means? Well, by blocking adenosine, your brain is then able to enjoy an increase in activity, and releases several other neurotransmitters, including dopamine and norepinephrine. All of these effects then work together to fight depression, with one Harvard study showing that coffee drinkers experience a 20% lowered risk of becoming depressed. This also relates to suicide rates, with coffee drinkers being 53% less likely to take their own lives. Premature deaths can be caused by so many different factors, including all of the health issues mentioned in this article. By experiencing so many health benefits, it only makes sense that coffee drinkers have a much lowered risk of dying prematurely. How much coffee do you need to drink for this? Studies have shown that when drinking four to five cups of coffee a day, men have a 12% reduced risk of premature death, while women have 16%. However, even just one cup of coffee a day can still reduce your risk of premature death by 5-6%, showing you just how little is needed to make a difference. Thanks to its phenolic compounds, coffee can have a significant impact on different types of cancer. When it comes to liver cancer, a 2007 study found that drinking two extra cups of coffee a day would lower an individual’s risk by 43%. While it is true about coffee staining the teeth, this is a cosmetic problem, and does not actually signify anything about a person’s health. In fact, when drank straight black, the antioxidants found within coffee make your teeth less adhesive. This means that bacteria is not able to hold on to your teeth with much strength, not only keeping them cleaner, but also making them easier to clean. While coffee does not contain cholesterol itself, it does interfere with the way in which your body produces and regulates cholesterol. As mentioned above, coffee contains an antioxidant called cafestol. While this compound does have its benefits, it affects the way in which your body metabolizes cholesterol, leading to raised cholesterol levels. There are multiple ways to brew a coffee, but, if you do it in an American-style coffee pot, with a filter, then the resulting coffee will actually have quite low cafestol levels. Since the coffee only passes through the grounds once, most of the cafestol is left behind in the filter. On the other hand, a French press brews coffee by constantly passing water through the coffee grounds, meaning that the resulting beverage contains quite a bit of cafestol. Research has indicated that you would need to drink around five cups of French press coffee a day to see an increase in your cholesterol levels, so as long as you ensure that your coffee consumption does not become excessive, then you should not have a problem. While coffee does not increase the risk of heart disease for everybody, it does if you have a genetic mutation that slows down the rate at which caffeine is broken down by the body. Since your body will not be able to metabolize the caffeine quickly enough, this can significantly increase your chances of developing heart disease. Try to stick to just one cup a day, as the risks will only come from drinking two cups or more. If you are quite dependent on your daily coffee, then you will already be aware of the fact that coffee is quite addictive. This is due to the caffeine in coffee, with the term caffeine dependence being coined a few years ago. What does too much caffeine do to your body? While all of these health benefits that coffee can bring to the body may sound great, keep in mind that many of these effects are likely to only be short term. If you are someone that drinks coffee multiple times a day, then you are likely to soon build up a tolerance to its benefits, meaning that the results will not be as noticeable, and you will be more likely to experience some of the negatives that come with coffee. Drinking more than eight cups of coffee a day would be considered excessive, and would bring about the negative effects mentioned above. So, as long as you stay below this guideline, and do not fill your coffee with sugars, flavors and creams, you will be able to enjoy nothing but the many benefits that coffee can bring to the body. As mentioned above, you need to ensure that you do not add sugars and other harmful ingredients to your coffee, as this negates its benefits. So, how should you brew your coffee? Do not be afraid to experiment with all of the different coffees, as well as brewing methods, that are out there. While you do want your coffee to be as beneficial to your health as possible, you still need to be able to find a brew that truly satisfies your taste buds. Probiotics have been all the rage recently, and there is good reason for this too. For those of you who are new to the world of probiotics, this beginner’s guide will tell you all that you need to know. Probiotics are often referred to as good bacteria, and they live within your digestive tract, regulating digestion, supporting the immune system and doing so much more. There are thousands of strains of probiotics out there, and each one will support a different aspect of your health. If you are seeking a general overall boost to your health, try to consume a wide variety of strains, as this will help to cover just about everything. If you have a specific health problem you are trying to treat, there are particular probiotic strains that would be especially beneficial to you. Fortunately, unless you are looking to treat a specific condition, you do not need to worry too much about the various probiotic strains out there. By consuming a wide range of probiotics, you will more than likely be covered. Why Have Probiotics Become So Trendy? Historically, people used to have plenty of probiotics in their diet, as they would eat fresh foods, that had been grown on quality soil. Fermenting foods, in order to preserve them, was also commonplace, with the fermentation process itself creating a wide range of good bacteria. The food that you eat has likely been soaked in chlorine and then processed and refrigerated, removing any probiotics. Lower quality soil also has a huge impact on this, as do the antibiotics that many foods contain, as these actually kill off any good bacteria that is already in your gut. 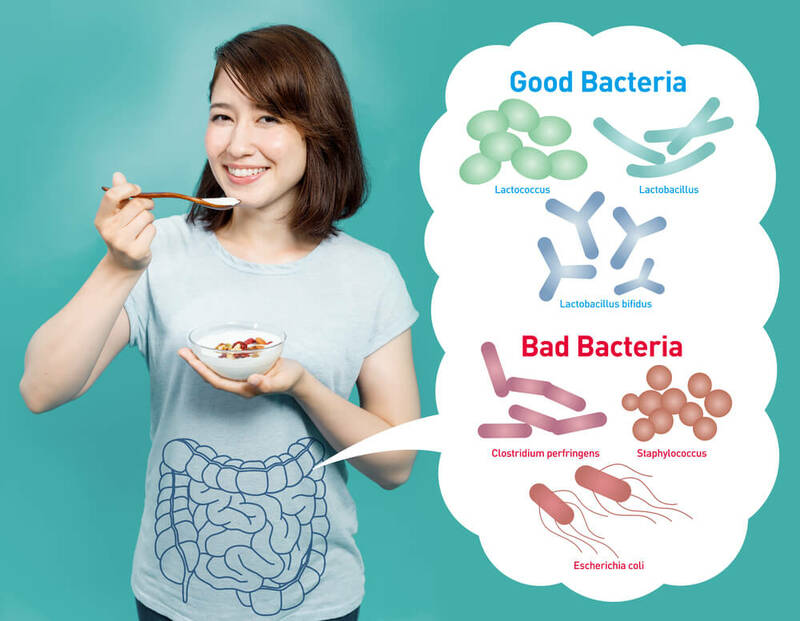 Probiotics will generally benefit just about everyone, but there are a couple of conditions that can actually be worsened by probiotics. If you suffer from short bowel syndrome or immunodeficiency, it would be wise to speak to your doctor before beginning your probiotic journey. Now that you understand the importance of probiotics, you can begin to take a look at the many ways in which you can increase your intake of probiotics. Consuming more probiotic-rich foods is the best way to do this, and there are many options out there. Milk kefir is similar to yoghurt, although with a thinner texture, and has been consumed for over 3000 years. Just like yoghurt, kefir is slightly tart tasting, but, when it comes down to the probiotics within the two, kefir wins hands down. Yoghurt contains between 2 to 7 types of probiotics, while kefir contains an impressive 10 to 35, as well as a number of beneficial yeast strains. Kefir can be purchased in supermarkets and speciality shops, but store-bought versions will never quite compare to flavor that comes from making it yourself at home. Store-bought kefir will also be lightly processed, removing some of its probiotics. The fermented kefir grains are mixed with the milk in a jar before being strained out the next day, with the resulting liquid being the kefir. The grains will grow and multiply with each batch that you make, meaning that it will not be long before you will be able to share them with friends and family, so that they can also make their own. 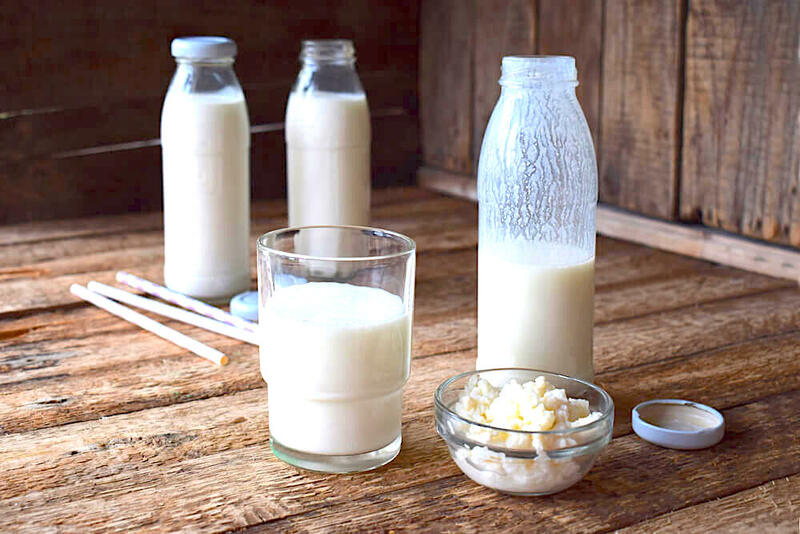 Wondering where to get the fermented kefir grains from? Getting your hands on some grains can be tricky, unless you know someone that already makes kefir at home. If not, try ordering them online, or join a few kefir groups on social media, as there will always be people happy to post their extra grains to you. Sauerkraut is most commonly made from fermented cabbage, but can also contain a number of other vegetables. While sauerkraut itself does not contain a huge number of probiotics, its organic acids support the growth of good bacteria within the gut. Just like with kefir, sauerkraut can be purchased from shops, but is far more beneficial when made yourself at home. Thinly slice or shred the cabbage, as well as any other vegetables you want to include. Beets and carrots work particularly well, and also add a beautiful pop of color. Layer the cabbage into a glass jar, alternating each layer with a sprinkling of salt, with the top layer being just salt. Cover the jar with a boiled cloth and leave it to sit for a couple of days, until a white scum appears on the top. Skim this off, replace the cloth, and then repeat this process for about two weeks. You will know that your sauerkraut is ready when no more bubbles form within it. If you have tried sauerkraut, and would prefer it to have more of a kick, then kimchi may be just the food for you. 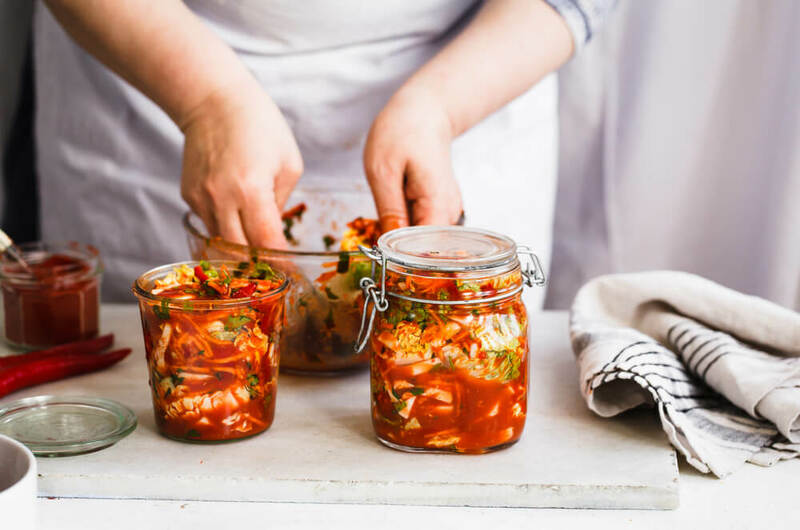 The method of making kimchi is not too different from that of sauerkraut, and, just like with sauerkraut, kimchi is a fantastic accompaniment to so many meals. For those of you who love dairy products, you will be happy to know that raw cheese is a great source of probiotics, but you do need to ensure that the cheese has not been pasteurized. In particular, goat’s milk and sheep’s milk cheeses are especially high in probiotics, so try to opt for these if possible. 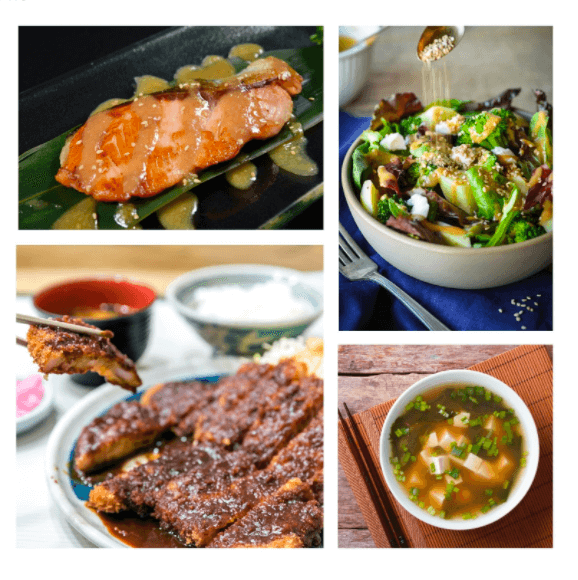 If you are a fan of Japanese food, then you are likely already familiar with miso, which has been a staple in Japanese cuisine for more than 2500 years. Miso is a paste that is made from fermented soybeans, barley or rice, and is most commonly eaten in the form of a soup. CFU count – this is something that often confuses people, but is simply a measurement of the amount of live bacteria that a supplement contains. Try to choose one that contains between 5 to 10 billion CFU. Strains – There are 10,000 different strains of bacteria within our gut, so make sure that your supplement also contains a good variety of these. Packaging – Probiotic bacteria can easily be killed by everything from light to air to heat, so look for a supplement that is housed in a thick, opaque bottle if possible, or a blister pack. Expiration date – the supplement industry is not required to put expiration dates on their products, but, without one, it is impossible to know how long the probiotic bacteria in your supplement will stay alive for. If a supplement does not state an expiration date, you can assume that this is because it is of a lower quality, and is best avoided. As mentioned above, the gut contains over 10,000 different strains of bacteria, and it is impossible for a single supplement to match this. 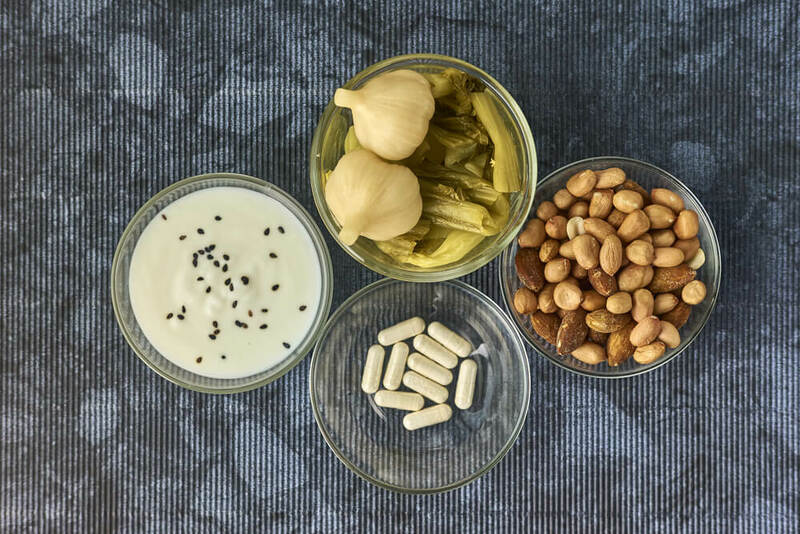 While supplements may be convenient to take, these should ideally be supported with probiotic-rich foods in order to experience the best results. Put simply, prebiotics are the food source for probiotics, and help to keep probiotics alive. So, do you need prebiotics? Well, it is likely that, if you have a balanced diet, you are already consuming a fair amount of prebiotics. Nevertheless, it never hurts to add in a few more, so do try to increase your consumption of the foods mentioned above. Some probiotics, such as sauerkraut and kimchi, also contain prebiotics, making them twice as powerful. Some probiotic supplements also contain prebiotics, and this is commonly labelled as inulin, so keep an eye out for this. Both of these are extremely detrimental to your gut’s microbial balance, so you need to take control of this if you really want to balance out the good and bad bacteria in your gut. If you are still feeling a little confused about the world of probiotics, the best way to begin your journey is by picking a couple of probiotic foods and incorporating them into your diet as much as you can. If you make them yourself at home, you will gain a much deeper understanding of the fermentation process, but there is nothing wrong with purchasing probiotic-rich foods from a store, especially if you only want a little taster to begin with.